It's hard to tell from the ingredients but this martini really does taste like a classic yellow cake. It's very sweet and the vanilla tones really bring home the experience. This one goes down way too easy so watch yourself! 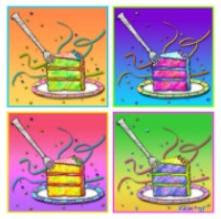 I had to add the fun cake decorating sprinkles - I like my cakes decorated! 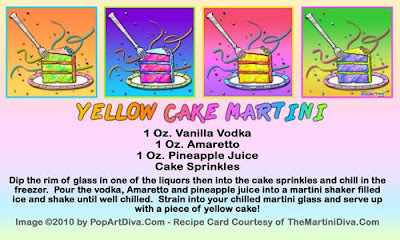 It also puts a touch of celebration to this Yellow Cake Martini experience, making it perfect for birthday party.